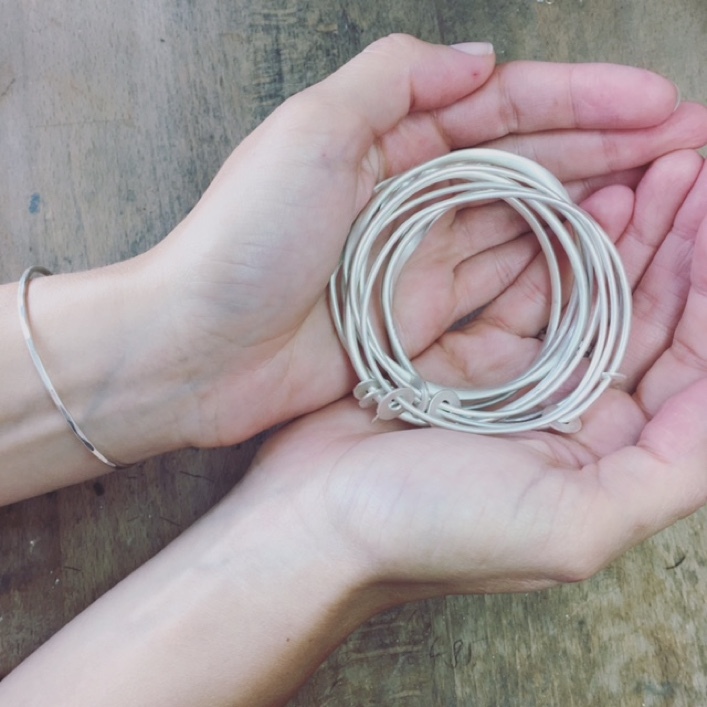 Our team of three makers can be inspired by any theme, creating bracelets and bangles just as unique as you are. The perfect gift for anyone….get ready for Christmas! Check out our Bespoke Archive for inspiration. 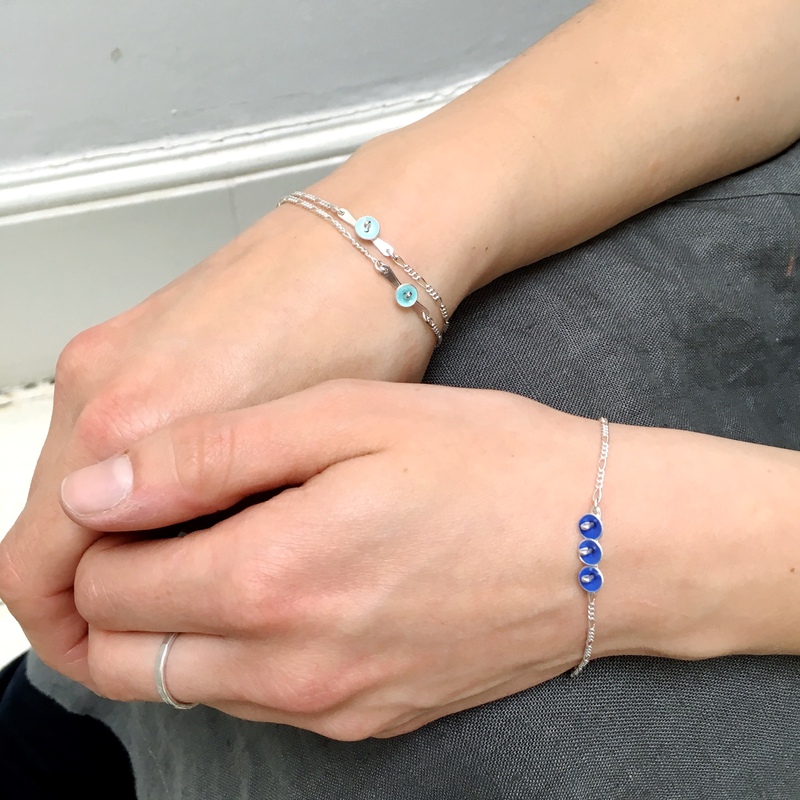 Here are just a few of our favourites…made for our lovely customers. For more information about our £ – ££££ price guide, visit How to do Bespoke. 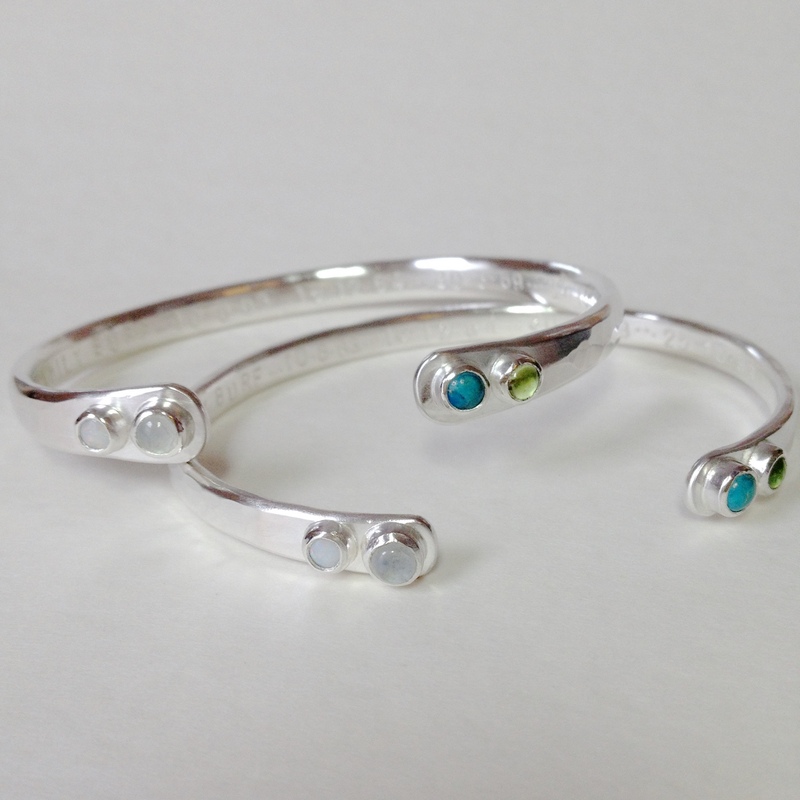 Birthstone torc bangles ££ per bangle. 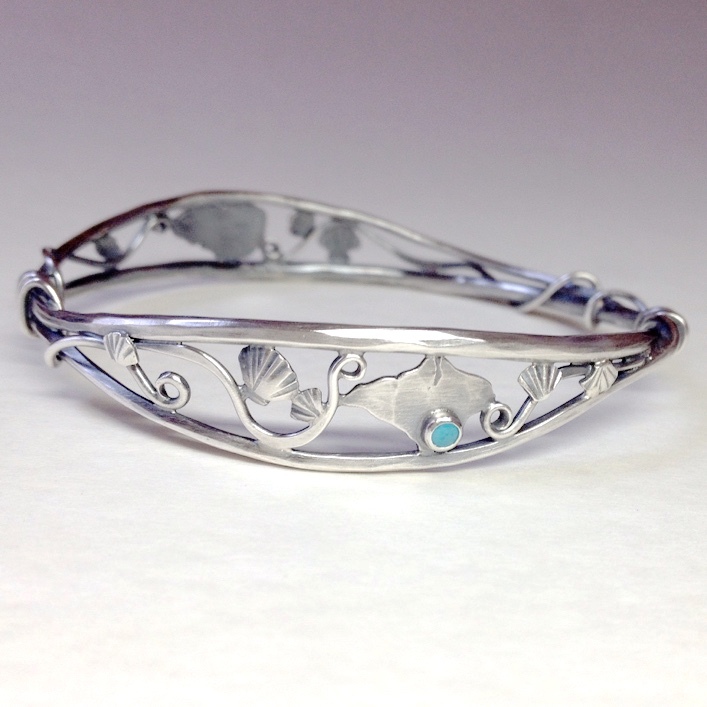 Vitreous Enamel Bridesmaid’s Bracelets £ per bracelet. 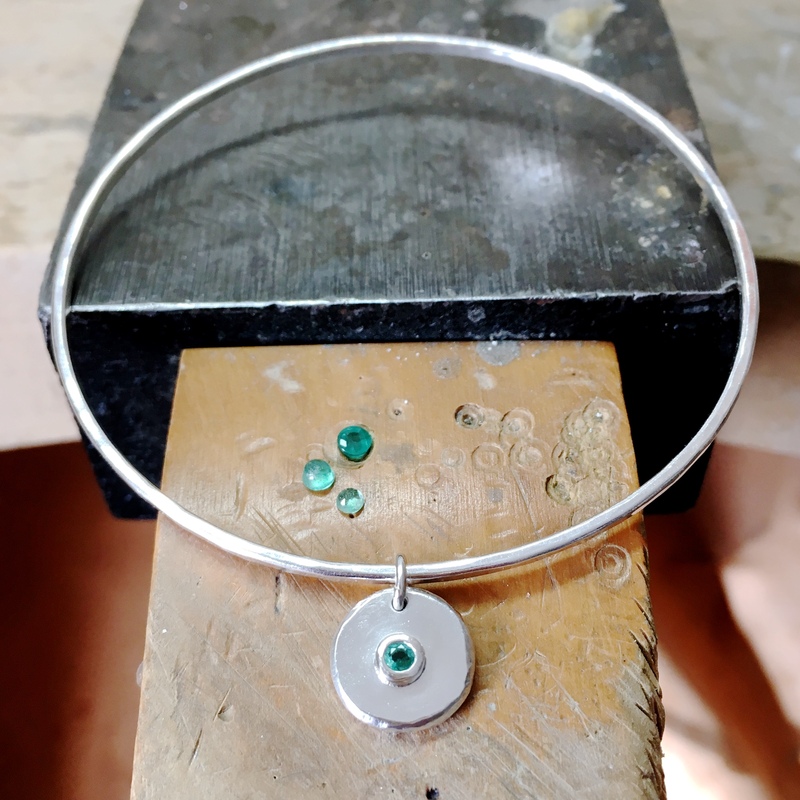 Emerald Charm Bangle from £-££. 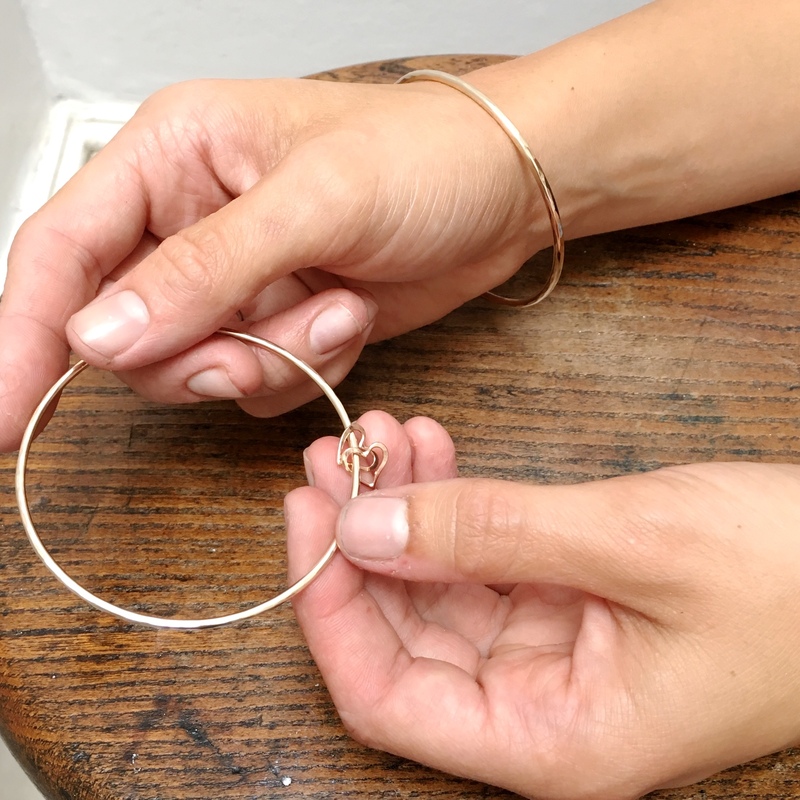 Solid 9ct gold bangles with tiny open heart charms, from £££ per bangle. 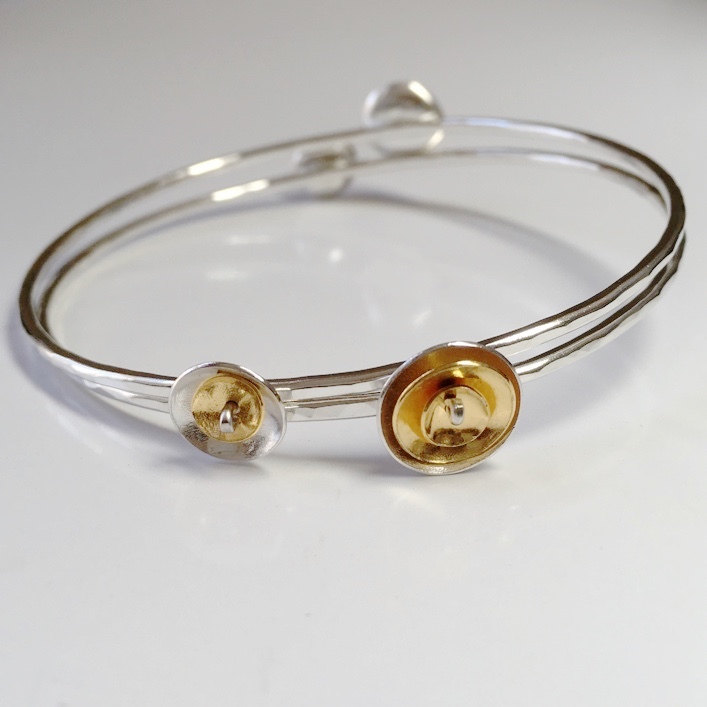 Gold plated pod bangles ££ each. 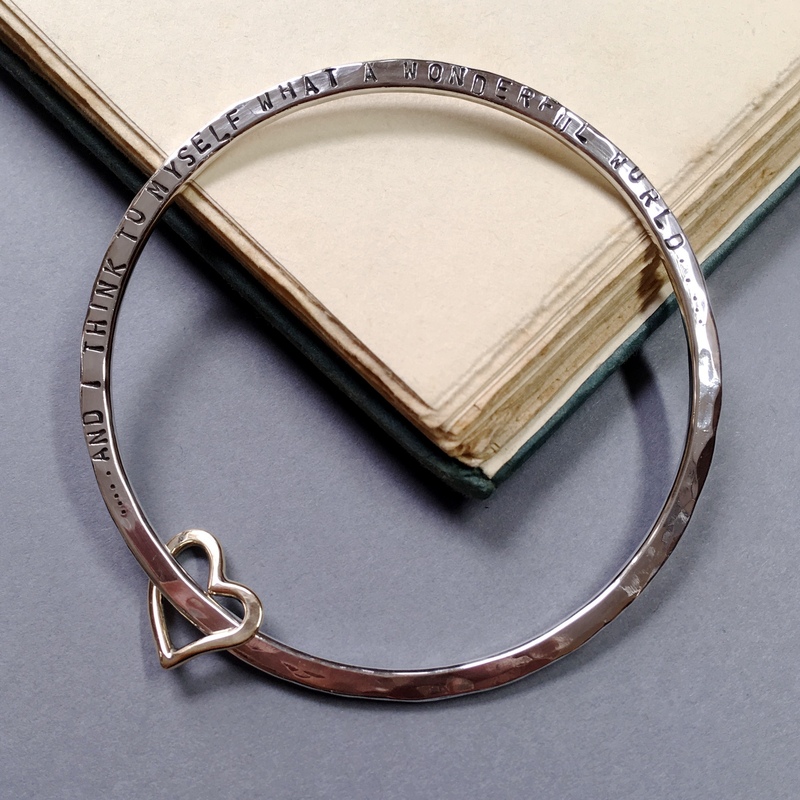 Bridesmaids Bangles, from £-££ per piece. 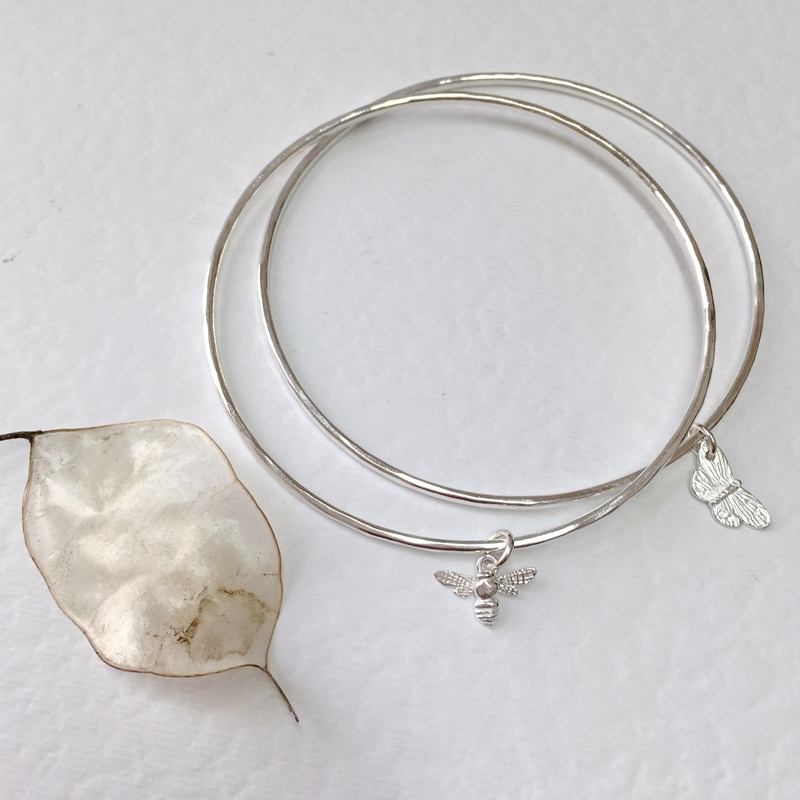 Mini Beast Bangles, £ each. 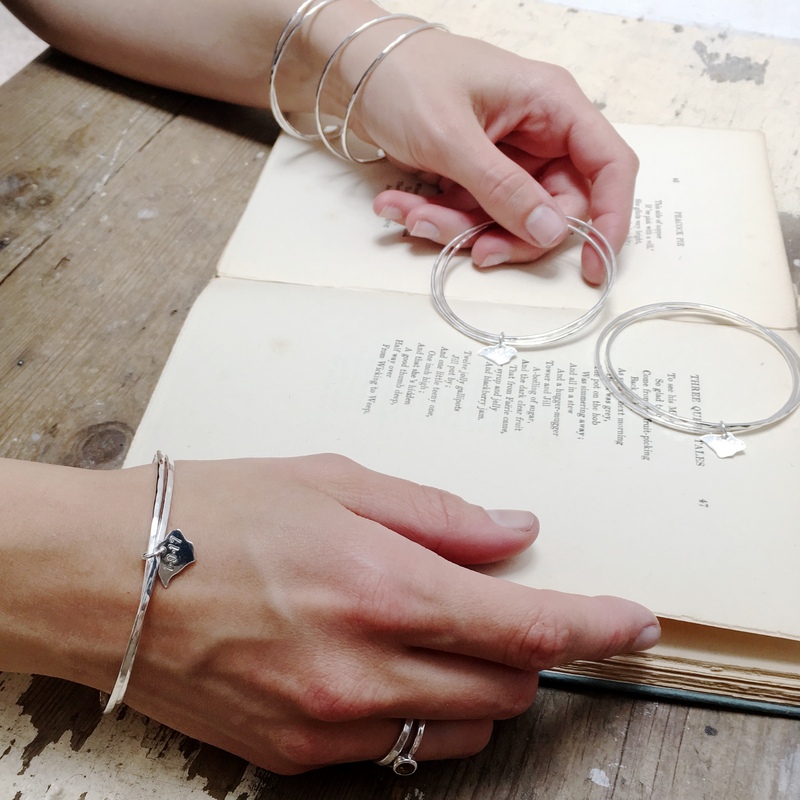 For more information pop into the shop or drop us a line info@honeybournejewellery.com 01983 854618.